Game of Thrones Targaryen Duffle Bag | Nerd Much? If you’ve been following Nerd Much? for a while, it should be no surprise that we love to inject as much cool Game of Thrones stuff into our lives as humanly possible. And with season 8 premiering this weekend, we’ve queued up plenty of cool new Game of Thrones finds from around the web for the weekend. 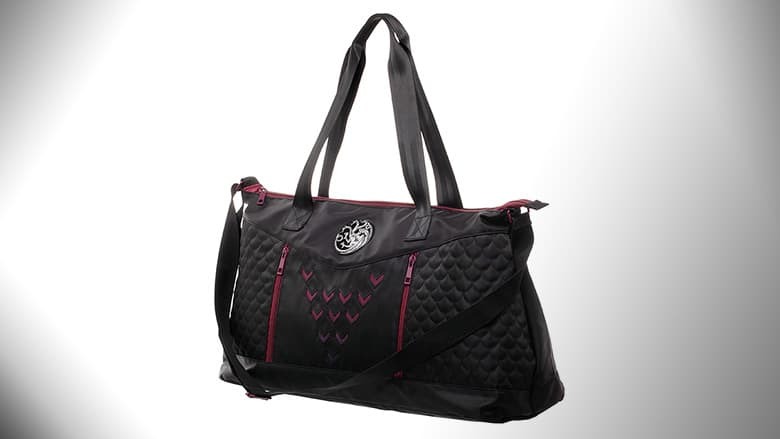 One of our favorite new finds is this Targaryen Duffle Bag from our friends over at ThinkGeek. The bag is black with Targaryen blood red zippers and accents, but what makes it super cool is that it has a design on it that makes the bag appear to be lined with dragon scales. 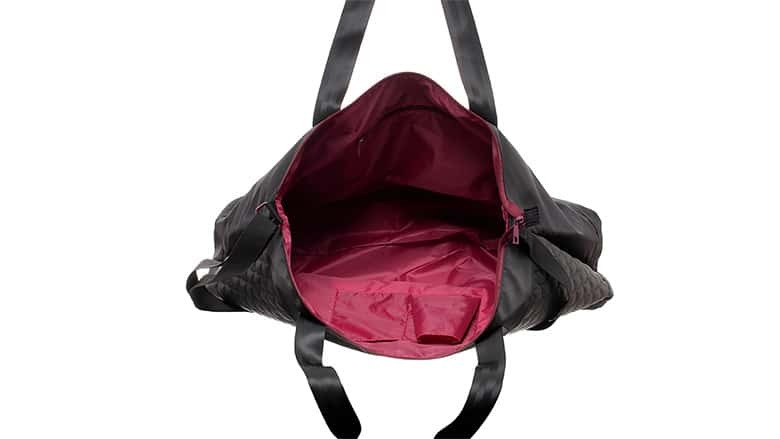 The inside of the bag is also lined with that same blood red color, with a couple of pockets and a zipper compartment as well. Of course, being from ThinkGeek, you can rest assured that it is officially-licensed Game of Thrones merch, so you don’t have to worry about cheap, knock-off logos or poor design quality. The bag measures 12″ tall x 22.25″ wide and 5″ deep, making it the perfect size for your daily commute — it’ll even hold some (not all) full-size, 17-inch laptops! So if you’re looking for a daily use travel bag or a gym tote, and you want to inject a bit more Game of Thrones into your daily life, the Targaryen Duffle Bag is available for $59.99 over at their online shop right now.